We serve thousands of meals a year. 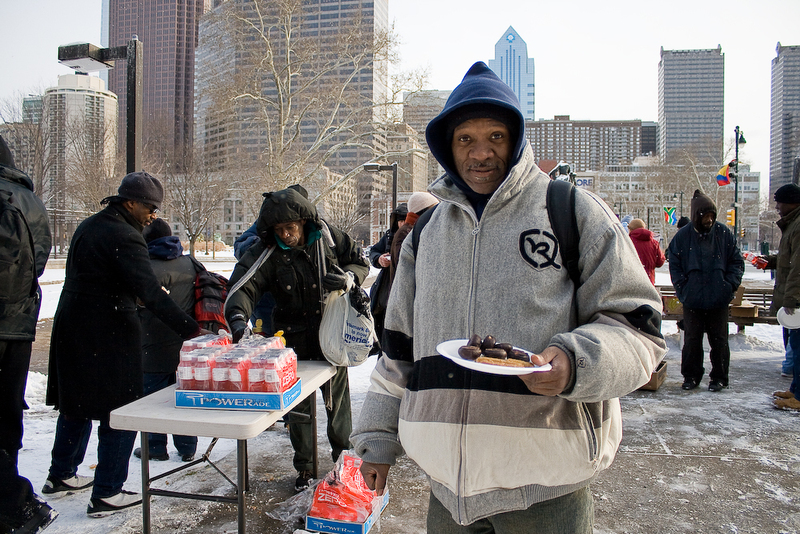 It is not just the homeless who are in need, but many in Philadelphia cannot afford a quality meal every day. The annual cost of serving hundreds of meals a week is $12,000. Our great expense comes from helping those in need obtain identification. It costs $28.50 to get a proper state identification, and $20 for a birth certificate. We help felons, street homeless, addicts, women fleeing from abusive men, HIV patients, and many more. To all of our givers, thank you for your willingness to contribute to the cause of ending homelessness. 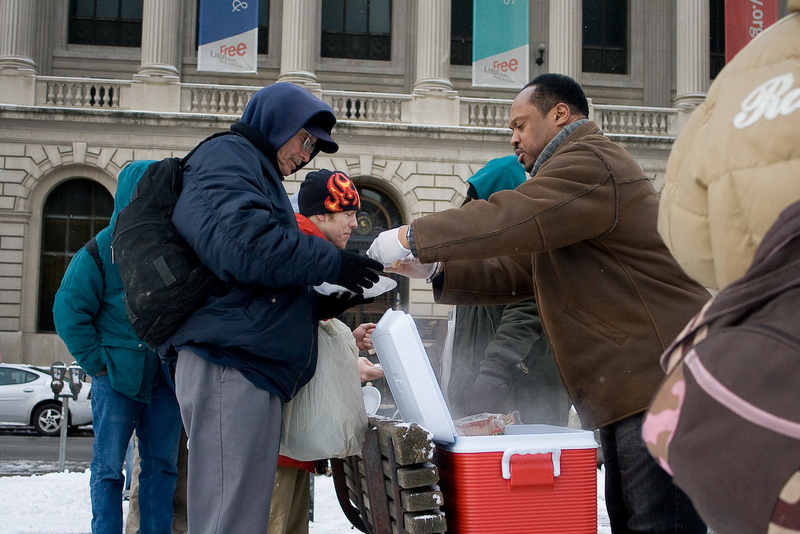 Your contribution will make a direct difference in the life of a man or woman on the streets of Philadelphia. 2. Donate online through Network for Good.